How to use Tend Skin® Liquid? Who doesn’t want to wake up every day with beautiful skin? Unfortunately, it’s never as simple as getting a good night’s sleep (though that can do wonders!). For beautiful, healthy skin you need a skin care routine that works for your skin type and with your lifestyle. The ideal skincare routine isn’t always straightforward. Not only does it depend on your skin tone and type, but it should also include different components. For instance, a morning routine will differ from that of an evening routine, and there are tips and tricks to follow throughout the day to keep your eternal glow. 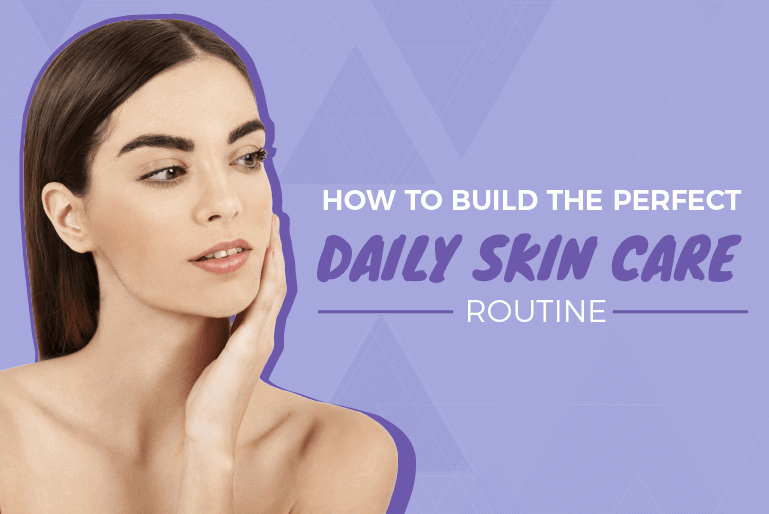 Keep reading to find out how to build the perfect skincare routine throughout every part of the day regardless of your what skin challenges may be slowing you down. It can be tempting to skip the skin care routine in the morning, as you hit snooze on your alarm (perhaps repeatedly!) and yearn to stay in bed for just those five extra minutes. However, a glowing complexion starts in the morning, so putting in a few moments of effort before you start your day is sure to pay off. Perhaps this wasn’t the first step you were expecting, but taking the time to workout in the morning does wonders for your skin. This is because it promotes healthy circulation, increasing blood flow and simultaneously reducing stress. A short but intense cardio workout is a great way to achieve these results. After your workout, or even if you skip the gym, it’s vital to wash your face in the morning. This step gets rid of any nighttime bacteria that collected on your face as you snoozed and rids your face of any dirt or makeup residue that may be lurking. A gentle, oil-based cleanser will do the job well. Rinse your face with lukewarm water to avoid over drying skin and pat your face dry with a clean towel. Exfoliation is an important step of a morning skincare routine, and it can be done with a simple cotton washcloth. Run your washcloth (or an exfoliation brush) under lukewarm water and wring it out so that it is just damp. Rub the washcloth in a circular motion around your face to rid your face of dead skin cells. As a bonus, this action also gets rid of any facial swelling that you may have woken up with! Especially for naturally oil or acne-prone skin, this step is a must-do! Toner helps to balance your skin and stop it from over producing oils. Choose a toner with an alcohol-free formula to avoid over-drying. Apply toner to a cotton ball and swipe it gently around your face to apply the toner effectively. Brightening serum is a key step in achieving radiant skin, regardless of your skin type or tone. It helps to minimize fine lines, reduces sun damage, and evens and brightens your skin tone overall. Apply two or three pumps of serum into your palm and rub your hands together to warm up the solution. Press the serum onto your face, beginning with your nose and working outward. Although it’s a natural instinct to do so, don’t rub the solution into your skin. It should sink in naturally, which will typically take three to five minutes. These steps make up the perfect morning skincare routine. Although it seems in-depth, once you get into the groove of it, it’ll seem like second nature! To keep your skin glowing, you’ll need to keep up your routine throughout the day. Don’t worry, these tips are quick and easy, but they make a big difference. It can be tempting when you’re at work to sip on coffee, Diet Coke, and not much else, but keeping hydrated has a range of benefits, one of them being a glowing complexion! 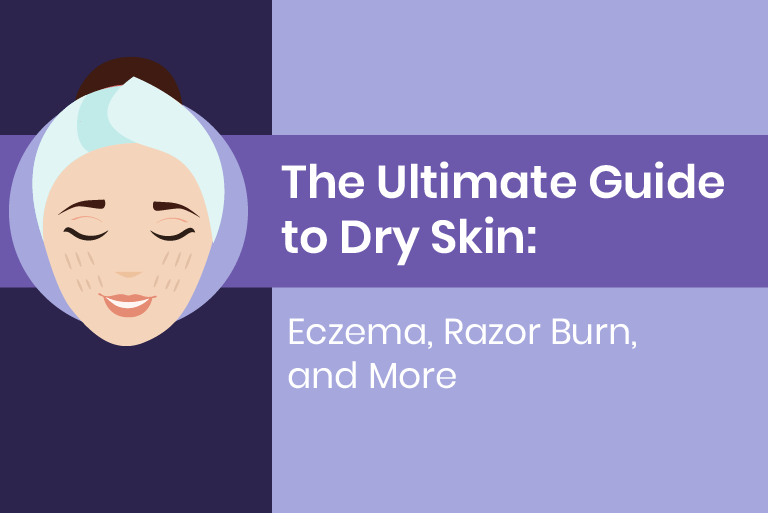 Dehydration can lead to dullness, dry skin, and even gnarly breakouts. Make sure you are drinking recommended eight cups of water for fantastic skin. Even if you’re not planning on spending time in the sun, you should protect your skin with an SPF every day. Whether you’re moisturizer or makeup contains an SPF of 15 or higher, it will aid in keeping your skin healthy and happy. UV rays are the culprit behind skin damage and protecting yourself against the sun on a daily basis can help you retain the youthful glow you aim for! One of the worst things you can do for your skin throughout the day is touch your face. Think about all of the things you touch. Spreading that bacteria to your face will clog pores, plus it’s sure to transfer oils from your fingers to your face. Excess oil and bacteria are two of the leading causes of acne, and touching leads to both factors. Although it’s hard, avoid touching as much as possible throughout the day. Celebrating a holiday or birthday in the office? Your skincare routine may make you want to skip the treats! A low-glycemic diet containing an abundance of vegetables, whole grains, and limited processed sugars can reduce breakouts. On the other hand, sugary foods and processed products alike cause insulin levels to spike, creating a hormonal surge that, oftentimes, lead to blemishes. Providing your body with the right nutrition all day long is a key step in any skincare routine. Okay, maybe one piece of chocolate wouldn’t be so bad. A nighttime routine is just as important as a morning routine. After all, it’s your last chance of the day to make a positive impact on your complexion. Below, we lay out the steps to a stellar nighttime routine to support a healthy glow. Stripping your face of makeup is such a great feeling! Use a liquid makeup removing solution or wipes specific to the cause to take face and eye makeup off. Leaving it on can result in clogged pores, breakouts, eye irritation, or the development of styes. That’s right! The end of the day means another round of cleansing. Use your gentle face cleanser, lukewarm water, and a cleansing brush (if you have one) to rinse the day off. This rids your pores of any dirt and oil that built up throughout the day. Applying a thick layer of moisturizer is the last step of a nighttime skincare routine. The consistency of a nighttime moisturizer will be thick, helping to leave skin soft and supple. The ideal moisturizer contains antioxidants and vitamins C and A. Of course, in every individual’s routine, there’s room for variation. This largely depends on your skin tone and any challenges you face regularly with your complexion. If you have dry skin, it can be frustrating to try to give your complexion the moisture it needs only for nothing to work. In this case, avoid scrubs and foaming cleansers and look for a product with hyaluronic acid, as that is a substance that helps the skin maintain moisture. Also ramp up your water intake to help combat this issue. If you have the opposite issue, you’ll need to use specific products to aid in balancing your skin’s moisture levels. Many times, an over-production of oil occurs due to the use of too many harsh or drying products. To combat this, use a gentle cleansing oil that will leave your skin feeling moisturized rather than tight and dry. When you’re looking to even out your skin tone, you’ll want to slightly tweak your skincare routine. Here, use a serum that contains either fruit acids or lactic acids to smooth your skin as well as a brightening serum that has anti-aging properties. These products should be used as a part of your morning skincare routine. Finally, for those with sensitive skin, adjustments to the routine are required for optimal results. Opt for a gentle cleanser that is not perfumed at all, as that could irritate skin. Those with sensitive skin may want to consider skipping toner in their routine, as it may prove to be too harsh or can make skin too dry. No matter what your skin type or tone, building a skincare routine is important. Having glowing skin inspires confidence, so the investment in a glowing complexion is a good one. Once you start your routine, give it time to start working and, most importantly, remain committed to following it to ensure that you see the results you’re looking forward to! How Can I Get Rid of Razor Bumps on My Pubic Area? With bikini season approaching, you’re probably looking forward to saying goodbye to winter boots and coats and hello to flip flops and beach trips. However, one thing many women dread is razor bumps along your bikini line. Many are plagued with these bumps all summer long, appearing like clockwork after each shave. Luckily, there are a range of tricks, tips, and products that allow you to stay free and clear of this irritation and get rid of razor bumps on your pubic area. We’re delving into this sensitive topic so that you can strut your stuff as you take on the beach this summer in bikini line bliss! Why Do Razor Bumps Appear? Razor bumps, a symptom of razor burn, are a common condition that many suffer from. The cause of this itchy and painful rash is associated with a range of reasons and factors when shaving. After all, shaving removes the top layer of skin from an area. With the bikini area being so sensitive, it’s easy for afflictions such as razor bumps to take hold. Even if you don’t frequently fall victim to razor bumps on other areas you shave, remember that your bikini line is far more delicate than the skin on your legs or underarms. Thus, this area requires more in depth measures as far as razor bump prevention and treatment are concerned. Several factors add to the commonality of razor bumps in the bikini area. First, shaving without any kind of lubricant–such as soap, water, or shaving cream. Furthermore, using an old razor can cause this condition, and it’s also unsanitary to do so, so this should be avoided. Discard your razor if it’s clogged with hair, soap, or residual shaving cream. Shaving too quickly or using shaving products that don’t agree with your skin can also be the culprit behind this problem. Using the wrong razor may also play a part in this issue. As mentioned above, we’re talking about a much more delicate area than those that your regular razor tackles, so it may be necessary to invest in one designated solely to your bikini line’s upkeep. The unique and tight shape of this area also demands the need for a specialized razor or shaving tool. The best treatment for this ailment is prevention! Prevent bumps by saving shaving for the last step of bathing, as that’s when your skin and hair is softest. Also, be sure to exfoliate, gently rubbing the area with shave gel before shaving, which further softens the hair and skin. As mentioned above, traditional razors might just not cut it for the pubic area. Consider using an electric trimmer designed for this task, which has the right shape to navigate the bikini line and is made for more sensitive skin. Alternatively, find a razor that is standardly shaped on one end and more narrow on the other, helping reach hard to reach spots. After showering and shaving, dab some rubbing alcohol on the pubic area, assisting in both closing your pores and killing bacteria that can lead to a rash. Another helpful tip is to apply an unscented deodorant liberally to the area. This keeps the area dry and prevents chafing, which can be another reason behind painful razor bumps. When applying these substances to your pubic area, you’ll want to do so carefully and sparingly. This area is sensitive and may experience an adverse reaction to using these products. Do so with care and consider testing a small amount of the product before using a large amount of it. Shaving too often, shaving the same spot repeatedly in one shave session, or pressing down too hard when you groom are all factors that lead to razor bumps. Avoid these actions to help prevent razor bump irritation in this sensitive area that you aim to keep looking neat and tidy! 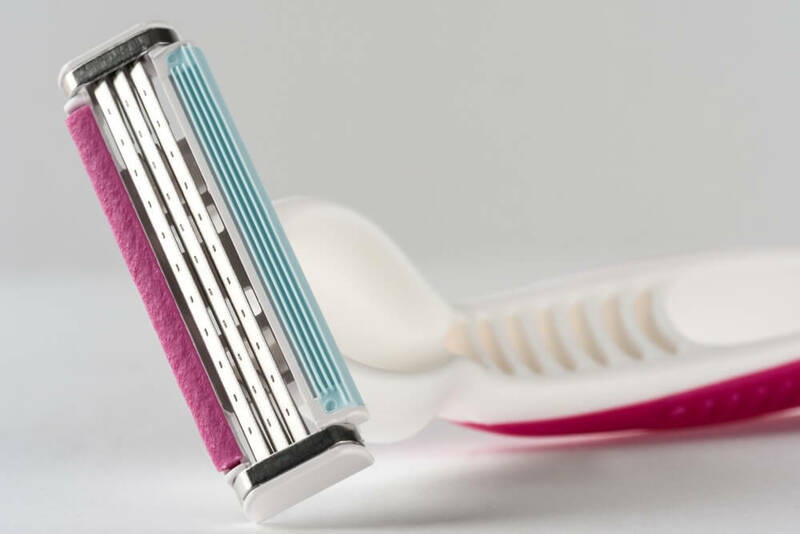 Once razor bumps have set in, you’re focused on one thing: getting rid of them! There are some easy-to-follow tricks for doing so. First, as soon as you notice razor bumps along your bikini line, splash the area with cold water. This works to shrink pores and soothe skin. The next, and most vital step, is to moisturize the area as soon as you’re done bathing and especially if you see razor bumps. Hydrating the area allows for hastened healing. Another important step in healing pubic area razor bumps is to avoid scratching them. Itching only exasperates the condition, delaying healing time. While you’re waiting for the bumps to disappear, be sure to wear 100 percent cotton underwear and breathable clothes to aid in healing. To avoid worsening the bumps, wait two to three days before shaving the area again. These shaving tips and tricks will keep your pubic area smooth and soft all summer long. Avoid the irritation that we all loathe with the right regime and products, aiding in keeping you feeling confident and comfortable! Razor bumps, a skin condition that is clinically known as Pseudofolliculitis barbae, can occur on virtually any part of your body where hair is shaved, tweezed, or waxed. If you get razor bumps, you’ll definitely know it because of the cluster of painful, itchy bumps that will form on the shaved area. For men, razor bumps on your neck is especially irritating. Shaving your neck is tricky enough, and when you don’t have a professional barber it takes practice to get the perfect shave. That’s why with the the right pre-shave preparation, shaving technique, and post-shave process are important steps to take to avoid razor bumps now and in the future. So, what exactly are razor bumps? Razor bumps, otherwise known as ingrown hairs, are little bumps that can form on your skin after you shave. The condition occurs when hair stands curl downwards and grow into the surface of your skin. This leads to irritation as well as pimples. A skin irritation, razor bumps can leave you with a burning sensation and can look like a rash. In addition to being itchy and even painful, outbreaks are also visually unappealing. When you see razor bumps, here are the top questions to ask yourself that may determine the cause. Did you take a warm shower prior to shaving? One of the things you should be doing before you lather up and shave is take a warm shower. 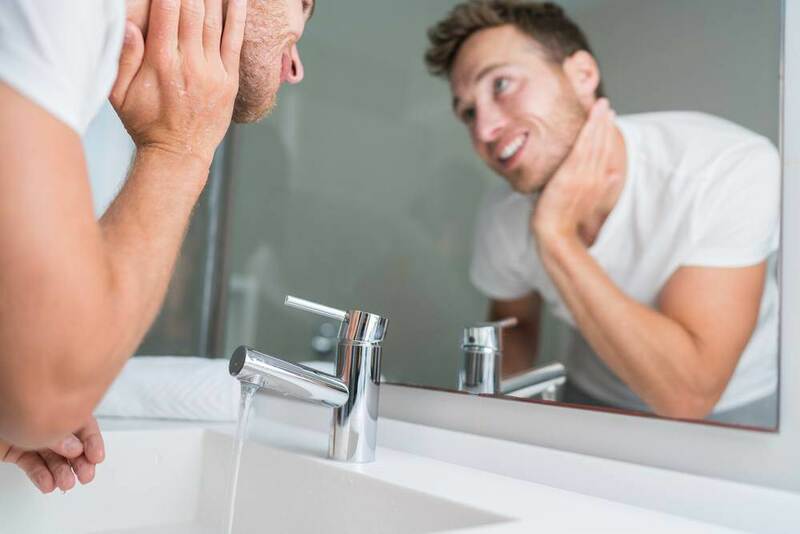 The reason this is critical is that the warm water not only will soften up your pores, but also will remove the dust from your pores, which will make for a better shave. Since men tend to have smaller pores than women, you should shower long enough for the warm water to work its magic. When it comes to shaving, exfoliating regularly is critical. Exfoliating is a process that helps to remove dead skin cells. You can exfoliate by buying products from your local drug store that come in the form of face scrubs that you apply to your face and neck, rub in, and wash off. If you fail to exfoliate, you might end up shaving over matted down facial hair that can compromise the effectiveness of your shave and potentially lead to razor bumps on your neck. Do you use the same razor for too long? If you’re like many men, you use the same razor for far too long. You need a nice, sharp blade to get a smoother shave and to avoid razor bumps on neck problems. A sharp blade will be able to get close to your skin and cut your hair cleanly without causing skin irritation, while a dull blade will require you to make multiple swipes to achieve the same result. The problem is that the multiple swipes with a dull blade can increase your odds of getting razor bumps on your neck. Are you applying too much force on your razor while shaving? When it comes to shaving, sometimes less is more. So, let the razor do its work and ease up on the force you apply when shaving. In fact, pressing down too hard might leave you with cuts or even razor bumps on neck issues. Do you remember to wash your neck with cold water post-shave? It’s important after you shave to wash your neck and face with cold water. This is a particularly necessary step if you have prior experience with razor bumps. Razor bumps occur when bacteria finds itself into your pores and causes inflammation. But with cold water, your pores will close, prevent bacteria from getting in, and safeguard you from getting razor bumps. In addition to itchiness and painfulness, razor bumps are also unsightly in appearance. So, how can you address this problem? You can use a product that reduces the appearance of ingrown hair, razor bumps, and redness from shaving. Be sure to use a product daily if you notice redness or irritation after you shave. No one wants to deal with razor bumps on necks problems, but it is nonetheless a very common issue for many men who shave. If you go about things the right way, you can potentially avoid this annoying skin irritation. Fortunately there are simple solutions if you experience razor bumps in order to get the situation under control. While the most popular gifts are jewelry, flowers and candy, relaxing bath and body products make great gift ideas for all women. What’s not to love? 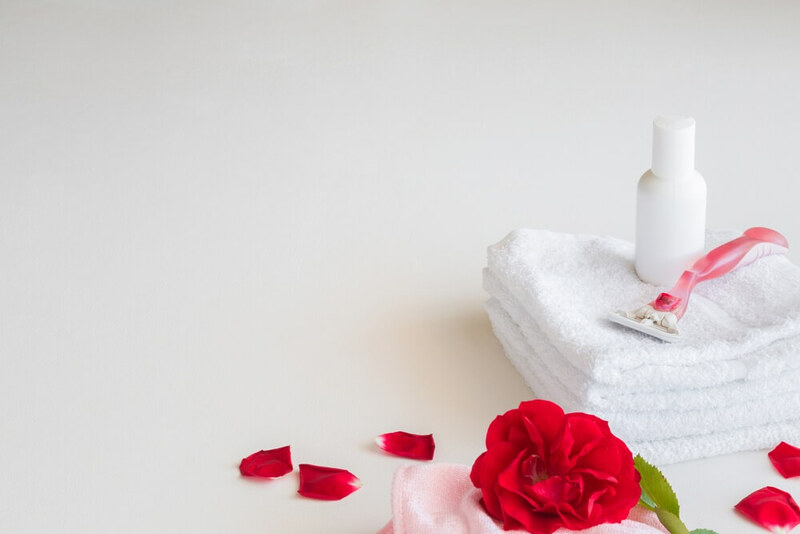 From spa accessories that help her enjoy a nice long bath to skin lightening creams that help her complexion glow, she’ll be reminded to treat herself. 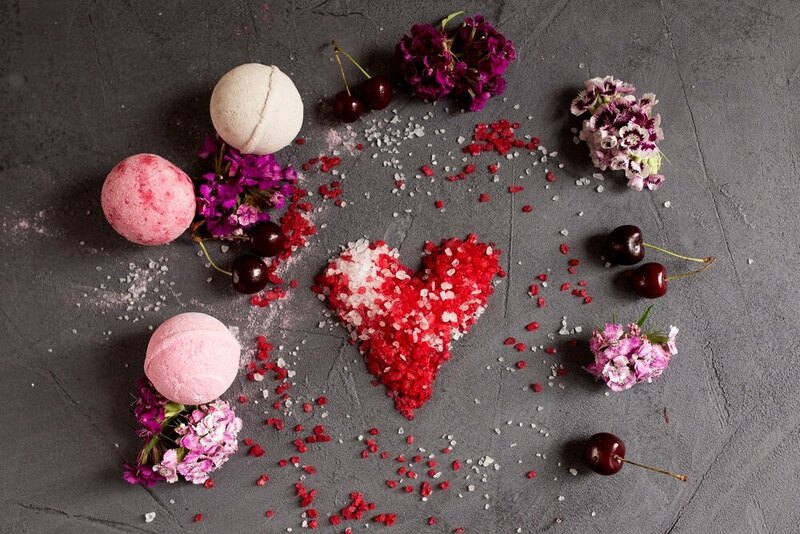 Check out these bath, body and beauty treatments for a truly indulgent Valentine’s Day that she will never forget! Of course, bath bombs are a must-have for the most relaxing bath experiences. Some bath bombs fizz and others release color and sparkles into the bath. Looking for something truly unique? Some bath bombs even release petals into the water. You can find almost any type of bomb you want and, yes, you also can make your own bombs! If you really love to DIY or need a gift idea that may be easy to include the kids, try this bath bomb recipe by Wellness Mama. The craze for scented lotions and shower gels has never really subsided. Everyone has their own signature scent, though, and this can make buying the right product a bit tricky if the mom in your life already has her go-tos. If you share a bathroom, you probably know the scents she loves. Another way to get out of the scent conundrum is to purchase a bath set that includes multiple fragrances. She might not like every product, but the fun is trying out different fragrances. Shaving sets make a practical but still pampering gift. Sets usually include a high-end razor and luxurious creams as well as moisturizing after-shave products. You also can create your own shave set made up of her favorite products; buy a large gift basket and fill it with bath and shaving products as well as cozy slippers and/or a monogrammed bath robe. Aromatherapy may be just what the busy mom in your life needs to help relax after a long day, or get her second wind for an afternoon between meetings and soccer games. Create an apothecary gift basket filled with a selection of bath oils. Don’t worry about favorite scents for this gift; you should include a variety of oils that offer many benefits. Citrus is invigorating, lavender is calming, and lemongrass oil also may uplift. 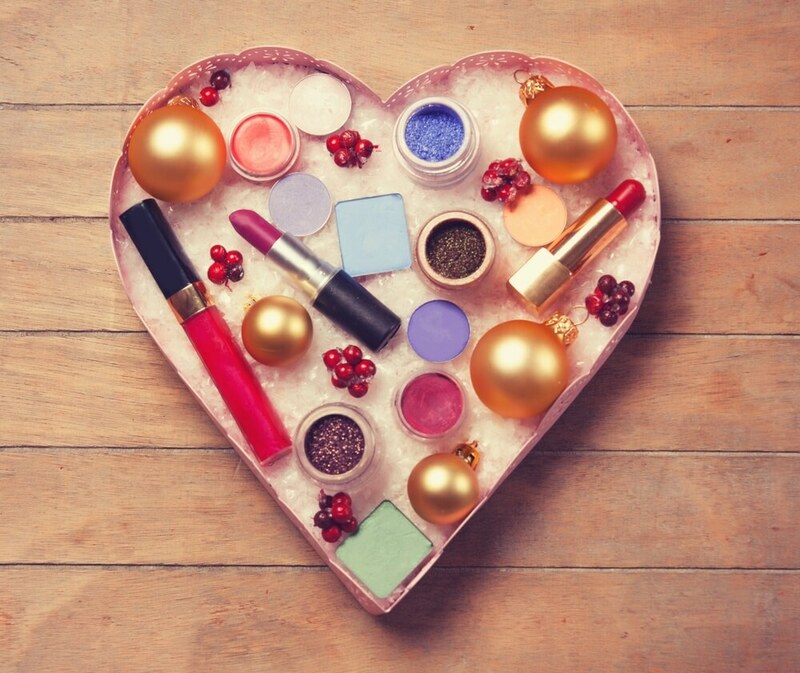 For women who love cosmetics and beauty products, you may choose gifts that help her complexion sparkle! Create a cosmetic themed gift basket featuring unicorn (or rainbow) highlighters, contouring cosmetics and beauty products that help lighten sun spots and brighten the complexion and, of course, mix in favorite lipsticks, shadows and more! If you’re unsure which shades or hues to select, choose products that are universally flattering. Think tinted lip balms that help soothe dry lips, neutral palettes and brightening serums that work for all complexions. Valentine’s Day will be here soon, so it’s time to start planning! Flowers and chocolates are must-have gifts (as is the perfect Valentine), but this is the ultimate holiday for pampering products for moms who need more than romance. Bath bombs, scented lotions, essential oils and beauty products all make luxe gifts that will help her unwind, relax and feel appreciated! Whether you’re jetting off for a beach vacation, preparing for a beautiful summer day, or going to be soaking in a hot tub to escape a cold winter’s night, tending to your bikini area is an absolute must! However, doing so can pose an array of issues: the growth of ingrown hairs, razor bumps or burns, and even nasty infections. It goes without saying that these issues are unpleasant to deal with, especially in such a sensitive area. Luckily, we’ve compiled the ultimate list of tips to help make this process more pleasant and painless! If you’ve been using a cheap razor, you may want to splurge on something of better quality in order to take better care of your bikini line. Since this skin is so delicate, it’s incredibly important to use the best razor you can, and one in great condition, too. Opt for a razor with more blades, as those equipped with a higher quantity of blades outputs more pressure, making it possible for each blade to cut with less force yet a greater effect. Throw out your disposable razors after a few uses in order to ensure that you’re blades are sharp and that your razor is clean to help you avoid unwanted infection. Razors with soothing strips also help to keep this area smooth and comfortable. If you haven’t shaved in a while (no judgement here! ), start by using manicure scissors to trim the hair before you use a razor on this skin. The hair should be approximately a quarter of an inch long. The next preparatory step is to soak your bikini area in warm water for about ten minutes. The reason for this precaution is to protect against post-shave razor burn as a nice soak will help soften the outermost layer of skin, making hair removal more seamless and cut down on irritation. Once you’re done soaking, pat your bikini area completely dry with a clean towel. Then, exfoliate the area with a washcloth or exfoliating scrub to remove dead skin. Many people forget to take measures after they shave to protect their bikini area from razor burn, ingrown hairs, and irritation. Once you’ve shaved, rinse the area well and hold a cold compress to the area for about ten minutes. This helps mitigate the risk of irritation before it even has a chance to begin. Just like we moisturize the other parts of our bodies after a shower, moisturize your bikini area after grooming. Use an unscented and alcohol-free moisturizer to both sides of your bikini line to prevent skin from becoming dry and irritated. There are also over-the-counter skin products that moisturize as well as reduce the appearance of ingrown hairs–a must-have for bikini season! Once you get out of the shower, the underwear you choose to wear makes a difference in the way your skin will heal. Instead of opting for a lacy, tight thong, instead opt for looser pair of soft, cotton undies that are devoid of elastic around the leg openings. This allows skin to breathe more easily, recovering from shaving and preventing those pesky ingrown hairs. When you hop into the shower, it can be tempting to get your grooming needs out of the way first thing. However, your skin needs hydration. Instead, go through the entirety of your regular bathing routine and save shaving for last. This allows hairs to be adequately hydrated and softened before you go through the process, cutting down on the potential for skin irritation. We put our skin through a lot on a daily basis, but ladylike grooming doesn’t need to cause our bikini area angst! Follow these tips for a more blissful grooming experience and treat this delicate area with the sensitivity it needs to properly heal. This will result in it looking and feeling great after every shave!